The Auschwitz Institute for Peace and Reconciliation (AIPR) marks the International Day of the Victims of Enforced Disappearances on August 30, 2016. The International Day was established through the approval of Resolution 65/209 by the UN General Assembly and was first observed on this day in 2011. Resolution 65/209, accepted without a vote in December of 2006, provided for the adoption of the International Convention for the Protection of All Persons from Enforced Disappearance. 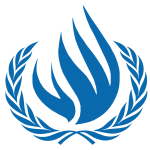 The United Nations Office of the High Commissioner on Human Rights (OHCHR) currently maintains the Committee on Enforced Disappearances, a treaty-based body of independent experts that monitors implementation of the Convention. A recent Fact Sheet produced by the Committee on Enforced Disappearances can be found here. The OHCHR also maintains the Working Group on Enforced or Involuntary Disappearances, which was the first UN human rights mechanism to be established with a universal mandate. The Working Group deals directly with UN member states and primarily serves to assist families in determining the whereabouts of individuals who are reported to have been disappeared and to make recommendations to States towards their progressive compliance with the Declaration on the Protection of All Persons from Enforced Disappearances. Far from being a practice employed only in the past by military dictatorships, enforced disappearance continues to be used by some States. In the past year alone, the Committee on Enforced Disappearances and the Working Group on Enforced or Involuntary Disappearance — the two United Nations mechanisms on enforced disappearance, composed of independent experts — received 246 requests by family members across the world to take urgent action. This figure is just a fraction of the thousands of cases that are never reported either because of security conditions or because of a lack of knowledge of the existence of international mechanisms that can help. On this International Day of the Victims of Enforced Disappearances, the Auschwitz Institute adds its voice to the growing call of the international community for a redoubling of global efforts to fight against impunity and the silence that encircles cases of enforced disappearances. In honor of the victims and their families, AIPR urges all States to ratify and implement the International Convention for the Protection of All Persons from Enforced Disappearances and to use it as an effective tool with which to guarantee peace and stability.